Homo ergaster had a huge brain and lived in complex social groups, but his evolution was stunted for a million years, until he discovered fire. Homo ergaster evolved from homo habilis 1.5 million years ago. Homo ergaster were the first ape-men to have understanding of the world – they were tool makers and had primitive language. Over thousands of years, homo ergaster moved away from Africa, spreading across the Middle East and Asia, reaching as far as China. Homo ergaster is also known in their Asian home as homo erectus. 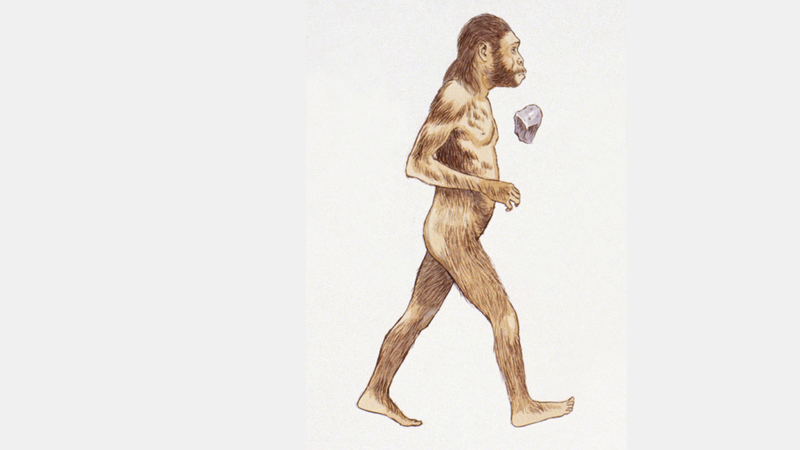 1.5 million years ago, a new breed of ape-man had evolved from Homo habilis. In Southern Africa, Homo ergaster had taken the next steps to becoming human. The fossil record reveals that they had long noses, which cooled the air as they breathed.